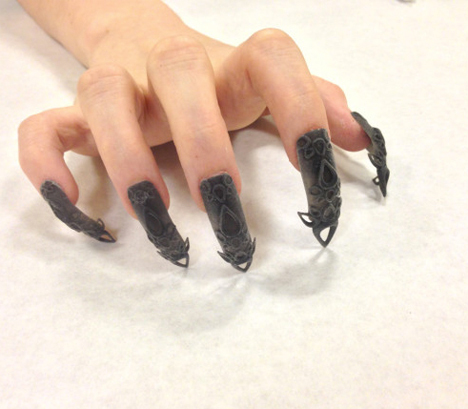 We knew that 3D printing would make the creation of all sorts of amazing and unpredictable things possible, but we honestly didn’t see this one coming: frighteningly intricate, claw-like artificial nails. Cutting-edge robotic technologies now allow anyone with access to ‘print’ everything from medical prosthetics and lingerie to cars and entire houses. 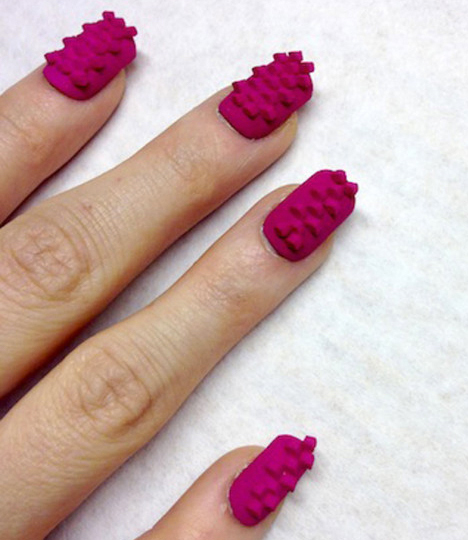 Add 3D-printed nails with names like ‘Armored Castle’ to the list. 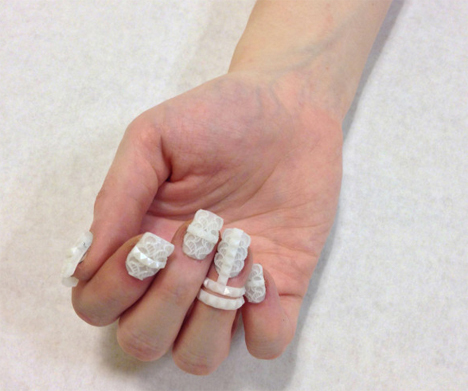 Manicures have gotten increasingly complicated with the option of adding all sorts of artistic elements, but a Shapeways shop called The Laser Girls truly takes them to the next level (and some.) 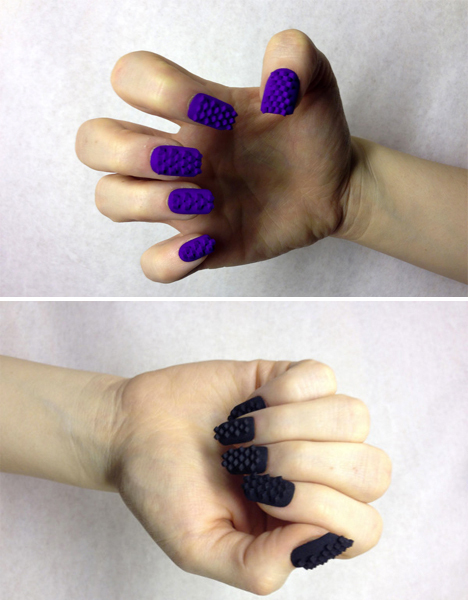 Their 3D-printed creations come in a range of styles, sizes, materials and colors, and all of them look like they could do some serious damage if you’re not careful with your fingers. The pyramidal ‘Kingdom Nails’ come in bronze-infused stainless steel, altering the meaning of the cliched saying ‘tough as nails.’ Other designs are made of strong and flexible nylon plastic with a smoother finish. These extreme artificial nails aren’t made for extended use; they’re applied using either nail glue or thin mounting tape like the sort used for scrapbooking. Explore lots more crazy (and purchasable!) 3D printed objects at Shapeways.